Some of you are wondering why I am not in Democratic Republic of Congo, Visa problems. delayed my departure, but disappointment turned to opportunity. As usual, God had a plan. I was honored to join the Puerto Rico Teen Challenge Disaster Relief Advance Team on St Thomas. Dr. Hart and the TC team were so blessed that God spared them significant damage that they gathered desperately needed supplies, chartered a boat, and headed to the Lesser Antilles Islands to serve the needs of the most hopeless communities. Setting sail for Culebra, the Coast Guard said most serious unmet needs at the time were on the island of St. Thomas. 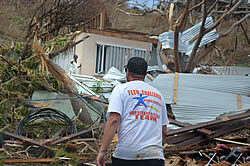 God used the Puerto Rico-Teen Challenge men powerfully and with such compassion. 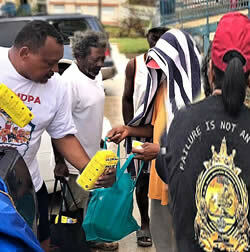 These men that once were "pirates of addiction" found themselves thrust into supernatural service. The local radio station, 1340 WSTA covered the work of Puerto Rico TC. 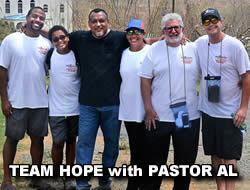 They quickly labeled the TC Men the "Pastors of the Caribbean." The TC men, once pushers of DOPE, became pushers HOPE. Please take a few minutes to watch the video and pray for the Caribbean. Come with us on the 60 foot Jesus Gypsy as Team Hope from Puerto Rico Teen Challenge travels to devastated St. Thomas, bringing more than water and food… Beans, rice and Jesus Christ… Just as one vision of Global Teen Challenge is to "put hope within reach" of the most hopeless, that is clearly the mandate of the Puerto Rico disaster relief team as we took food IN to the people that could not get OUT. Everyone saw Irma coming, few predicted the unbelievable destructive force as the Hurricane, unleashed the fury of 185 mph hour winds with unrelenting torrential rain & flooding as she made landfall. Winds destroyed homes, downed trees, toppled towers and power lines, gutting the island's infrastructure - inflicting an extreme death toll still unmeasured. 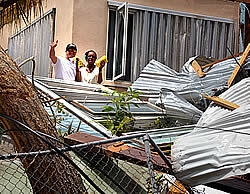 Hundreds are still missing and we heard stories of people sucked from their homes and thrown to their death as the hurricane ripped the sides from their houses. 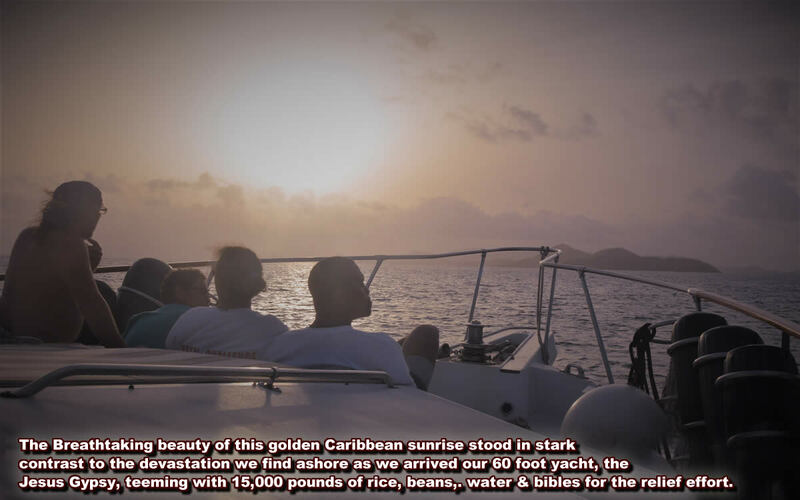 Nothing about the golden Caribbean sunrise, as we arrived on Jesus Gypsy, the 60-foot vessel filled with 15,000 pounds of water, rice, & beans, prepared us for the destruction we found. As we arrived on the island of St. Thomas and anchored in Magen's Bay. The captain's plan was to come ashore for breakfast at Magen's Café, and shower at the wonderful beach house facilities. But as we arrived we saw that the cafe had been destroyed and the beach hoses were GONE! We found ourselves making a one mile trek across impassable roads, blocked by downed trees, power lines, jagged metal and standing water to try to connect with our island ministry assets . Beans, Rice, and Jesus Christ! The Puerto Rico Teen Challenge Disaster Relief Team did more than just deliver 30,000 pounds of supplies in the two excursions. Yes, we brought 15 tons of supplies. But more importantly, we delivered hope as well as water, beans and rice to "Cecelia," when her two children had not had a drink in two days. You brought hope to Benoit's house, when he thought he was all alone. 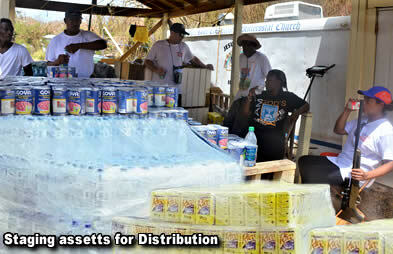 Margareta had 2 strokes and no way to get to the FEMA Care point. 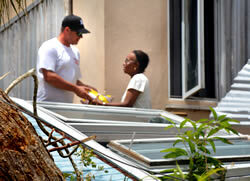 She was badly dehydrated and desperate but God sent us to her home with supplies, a Bible, prayer and a promise of HOPE. Now Hurricane Maria, a second Category 5 storm described as “potentially catastrophic” is barreling toward the islands that are still reeling from Hurricane Irma’s destruction there. ONE MIRACLE AT A TIME- touching one LIFE at a time. Sometimes it is so hard to hear the voice of God through the noise, through the sound of the wind, waves, and torrential rain of the storm. Even worse, how do you drown out the uninformed speculation of “clueless” Christians who set themselves up as spokesman for the Almighty. While I understand both the fury and the mercy of God, I do NOT think that the most important question is “Why is God causing calamities?” as submitted by the religious purveyors of gloom and doom. I DO see the sin and I DO see the storm. But for us to put ourselves in the place of interpreting the motives and actions of the infinitely wise Almighty God is an insult to His sovereignty and an arrogant overestimation of our own finite minds. His mercies are infinite. His lovingkindness is everlasting. There are consequences for sin and disobedience but in the midst of the crisis, there is no benefit to make God the enemy when He offers love, grace, and hope in time of need. Sin results in judgment and I know the rain falls on the just and the unjust. 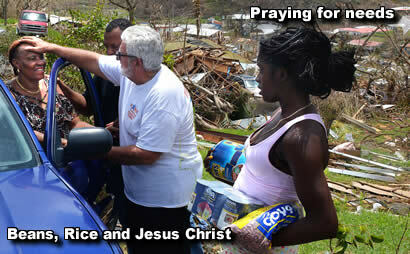 But I noticed one thing as we ministered across devastating ruins of St. Thomas. It was not just the gambling casinos, bars, and brothels that were destroyed. We looked at the destruction of the homes of godly people, powerful churches, and folks that had built wisely that succumbed to the relentless battering of hurricane Irma. For me, the main message today is to hold loosely to “the things of this earth” as we hold tightly to God’s promise. No matter how much or how little we have, our value is not measured by the quality or quantity of our possession, position, or reputation. Our value is established by the price that the Father paid when He sent his son, Jesus Christ, to redeem us. Full Body Church- The back of the building was ripped off- rather than repair, they are on the street, with us, focused on outreach. We are built for eternity, this earth is not. There are things that we learn in the storm that we cannot learn anywhere else. So while 2Peter 3 asks us, "What manner of man ought we to be?" 1John offers us this promise. I’ve stopped asking “Why did God cause this?” and committed myself to say “God, now that this has happened, what should I do?” The manner of the love of the Father reminds me that I have grace to make a difference. Jesus did not ask the question, “Why does Bernie sin? Jesus made my problem His problem. He took on my sin, redeemed me from destruction and filled me with promise. For that, I’m eternally grateful. Can you see her at the top right of the opening frame? First there was only a whimper, then a hand, then a head. Then the faint sound of her voice, "Please, someone help me." She had been cowering in the debris for five days. Her once four-bedroom home, was now reduced to the rubble. of one damaged room with ½ roof. She had been huddled in the wreckage in fear for her life because of the violence. The sound of the commotion of people getting their water, Bibles, beans and rice, cut through the fear so she worked her way back into the sunshine. There was far too much debris for me to get up to her but Brian managed to work his way through downed power wires, torn sharp jagged metal, corrugated and trees to take her food and water. Hope came to her house. She said, "I have heard many sermons. Today I saw one. Thank You!" Jesus never forgets the abandoned one. Normally we ask you to help us with our ministry. We are asking you to prayerfully consider a generous donation to TC Puerto Rico in this strategic Relief Effort. We appreciate your prayers for the continuing relief effort in the Caribbean A second category 5 hurricane, Maria is now bearing down on Puerto Rico and St Thomas. 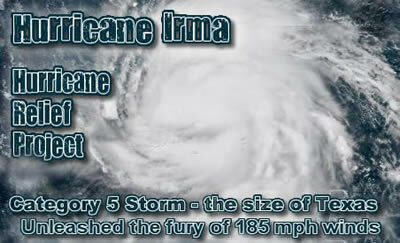 The storm quickly intensified from a category 2 to a category 5 hurricane in 36 hours. Maria is poised to make landfall in Puerto Rico in the next few hours. 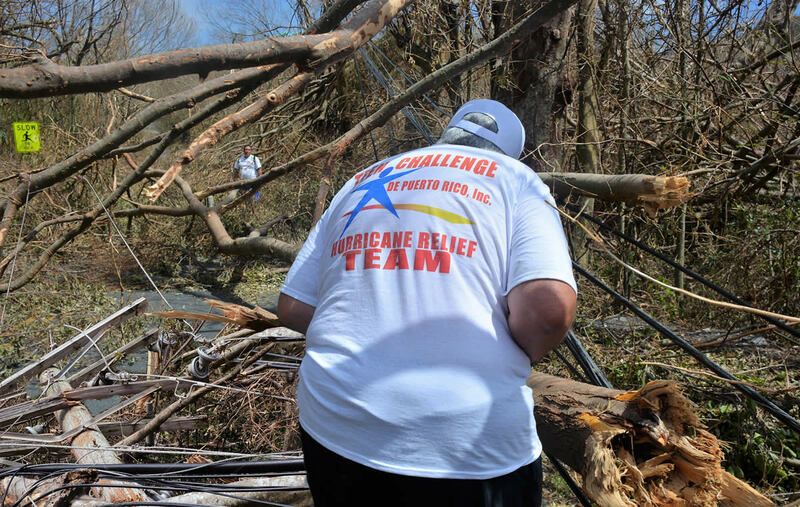 Please pray for our Teen Challenge centers in Puerto Rico as they clear their properties. Most importantly, pray for theneeds of the people and our team as they continue to give back to reach out to the nearby islands bringing water, supplies, and building materials. More than that, beans, rice and Jesus Christ. Rejoice with us that there was no loss of life and no injuries at any of our Teen Challenge facilities from Florida, or Texas, Please pray for our Teen Challenge family in Florida as they have returned from evacuation and are restoring their centers as the students’ lives are being transformed. 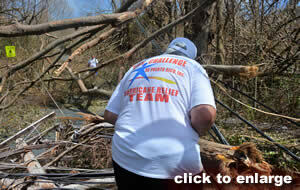 Teen Challenge Fort Meyers suffered damages fro Harvey and the Davis Center was hit hard by Irma. Pray for the Centers across Texas, Louisiana and Florida. Please pray for TC friends and partners… Civilians, church, friends, and neighbors who continue to suffer in Texas, Louisiana and Florida. Please pray for the people of Mexico City as they have been rocked by a 7.1 earthquake. 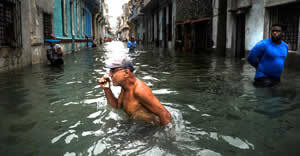 More than 130 are dead and many still missing or trapped in buildings. This quake comes just one week after the south coast was rocked by an 8.1 earthquake leaving 90 dead. 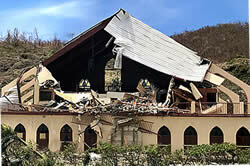 The September 8 quake had 62 aftershocks so pray for safety. Pray for Teen Challenge Mexico, we have not heard whether there were any damages at our Teen Challenge in Mexico City. Please pray for wisdom, favor and provision as the ALL AFRICA team of 18 leaders has assembled for Mission SOS in Addia Ababa, Ethiopia. Also join us in interceding for a powerful move of God as the team of nearly 150 from the US, Europe, and Africa gathers to share the amazing love of God from November 4-14.